Freeing a terrorist who murdered three police officers diminishes the value we as a society place on the lives of those who protect us. The New York State Parole Board made an egregious error when it decided to release domestic terrorist Herman Bell from prison next month. 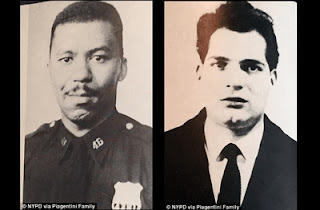 Bell a member of the Black Liberation army was responsible for the deaths of NYPD Officers Waverly Jones and Joseph A. Piagentini. He also pled guilty in the death of San Francisco Police Department Sergeant John V. Young. If you listen to Bell you'd think he was a model citizen. His own words were; "I am not a criminal...I never posed a danger to...society." Oh really ? Since when is a terrorist killing police officers no longer a danger to society? In their current decision, the NY parole commissioners reasoned that Bell "was productive in prison." They pointed to the fact that he had earned two college degrees and had been influential in numerous community outreach organizations as far away as Maine. What they either overlooked or completely ignored was that, in addition to those activities, Bell had also established ties with other domestic and international terrorist organizations. People who support groups such as the Anarchist Black Cross movement, the Antifa movement, Hamas, Islamic Jihad, and the Palestinian Solidarity Movement have visited and communicated with Bell during his time in prison. Others affiliated with those same groups were cellmates of his.